This is from Cordon Vert by Colin Spencer and has been a favourite for nearly 30 years! It’s a bit fiddly but well worth the effort. If you can’t get canneloni you could use lasagne sheets or use the filling to make a lasagne. Cook the pasta in boiling water until done. Remove from the heat, drain then put the cooked pasta into a bowl of cold water with a little oil in it to keep it separate. Remove the stalks from the spinach and discard. Cook the spinach in half the butter over a low heat. 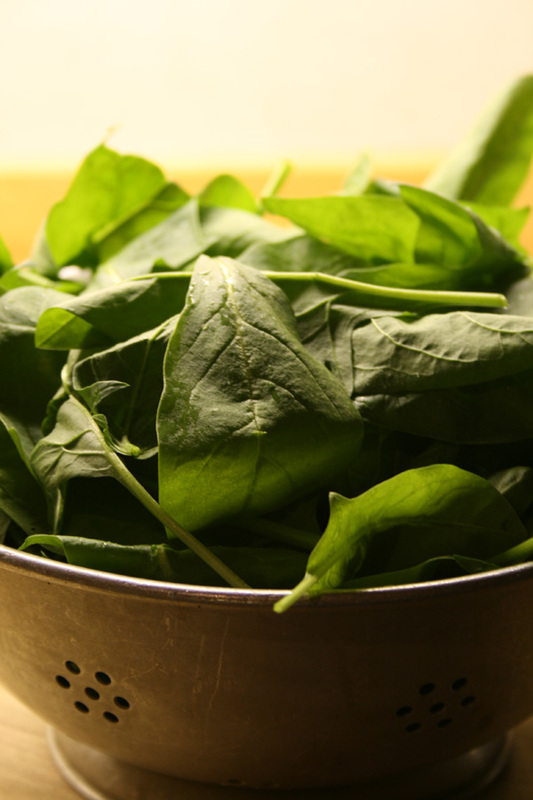 The spinach should shrink to less than half its bulk in about 5-6 minutes. Cool and drain off the excess liquid. Put the cooked spinach in a bowl and chop with a wooden spoon. Add the almonds, remaining butter, double cream, gruyere cheese, season to taste and mix well. Drain the canneloni, then taking one tube at a time put a portion of the spinach mixture in it. Place the filled tubes in a shallow, greased ovenproof dish, pour the single cream over, sprinkle with the parmesan cheese and bake in a preheated oven gas mark 2/150°C for about 20 minutes until the canneloni is heated through and the cheese is melted. Serve with a green salad.